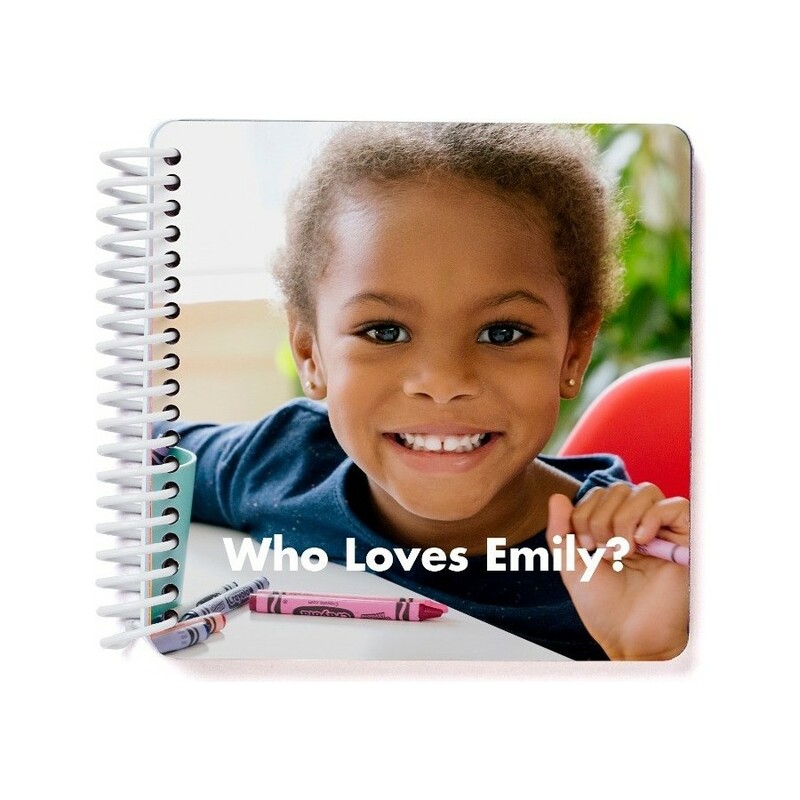 Have fun teaching your child the most important people, places and things in their life with the Mini Book of Names & Faces personalized board book. Just upload your favorite photos and customize the large, easy-to-read text. Plus, this board book is perfectly sized for little hands! Choose between a matte or coated finish. The Pinhole Press Mini Book of Names & Faces custom board book is certified by the Consumer Product Safety Commission and is recommended for children 1 and up. How does it work? Learn how to customize your Board Book in this video.